Individuals and organizations from the world of sport have joined in paying tribute to the victims of Wednesday’s terrorist attack in central London, including the football club supported by a police officer killed in the incident. Five people died, including the attacker, and dozens more were injured when Khalid Masood rammed a car into pedestrians along Westminster Bridge on Wednesday before entering the grounds of the Houses of Parliament. 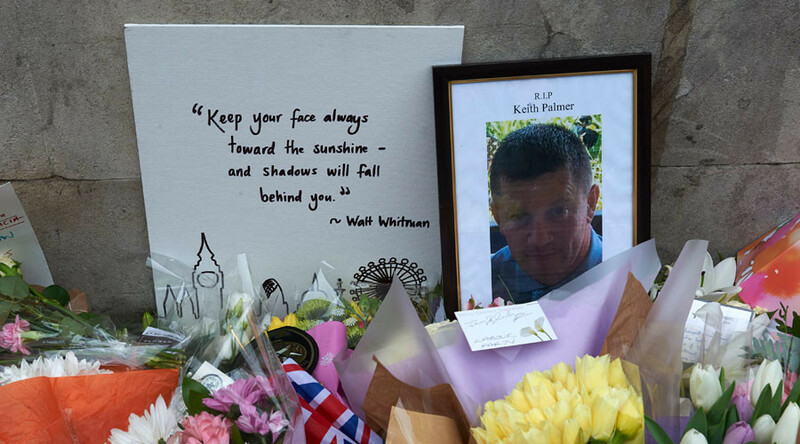 Three people died of their injuries on the bridge, while a policeman, PC Keith Palmer, was stabbed to death near the UK Parliament building. The attacker was shot dead by police at the scene. Following the attack, sports teams and individuals expressed their shock and sorrow at the incident. Southeast London football team Charlton Athletic paid tribute to PC Palmer, a “loyal” Charlton fan and season-ticket holder, marking his seat in the club’s stadium with a scarf. "Keith was a familiar face at The Valley to many supporters and sat in his same East Stand seat for many years," a club statement read. “As an immediate tribute, a red and white scarf has been placed on his seat which will remain until the next home game on Tuesday, April 4th, while the club will discuss ways in which it can commemorate his life at the game itself." The English FA said it would honor the victims of the attack at an international match between England and Lithuania at London’s Wembley Stadium on Sunday, while FA chairman Greg Clarke also offered his condolences. Clarke: "We will be recognising the bravery of the security services and all those involved at the @England v Lithuania match on Sunday." Away from football, other sporting figures tweeted that their thoughts were with the victims and their families, including native London boxer David Haye. Two boxing teams at the House of Commons were caught up in the attack on Wednesday. Italia Thunder boxing team and Hammersmith Boxing Academy were attending the launch of the British Lionhearts boxing team Year 2 project at the time of the terrorist attack, but tweeted to assure people that they were safe.